Longer term readers of this blog will know that I have an interest in locomotives finished in unique, interesting, but often inaccurate colours and indeed have published a blog post about it in the past looking at models in my collection. Today I’m looking at some real examples. Somerset and Dorset Joint Railway (SDJR) Prussian blue is in my opinion a rather attractive livery. In a colourful period of steam railways, the charismatic line owned jointly by the LSWR and Midland (later Southern and LMS) railways was the livery of choice for all but its goods locomotives. The SDJR’s 7F 2-8-0 was only ever painted unlined black in service. Therefore, when the recently retired for overhaul no.88 appeared in Prussian blue on the West Somerset Railway, it caused quite a stir. Whether it is attractive or not is a matter of opinion, but the fact of the matter is that it is not authentic. The news that 88 would be returned to service in unlined BR black was met with relief by many, including many who like myself like these colours on this locomotive. Another 2-8-0 that has also seen service in controversial colours is Stanier 8F 8264 of the Great Central Railway. The locomotive was painted in crimson lake; a beautiful uniform worn by steam locomotives of the London Midland and Scottish Railway (LMS.) 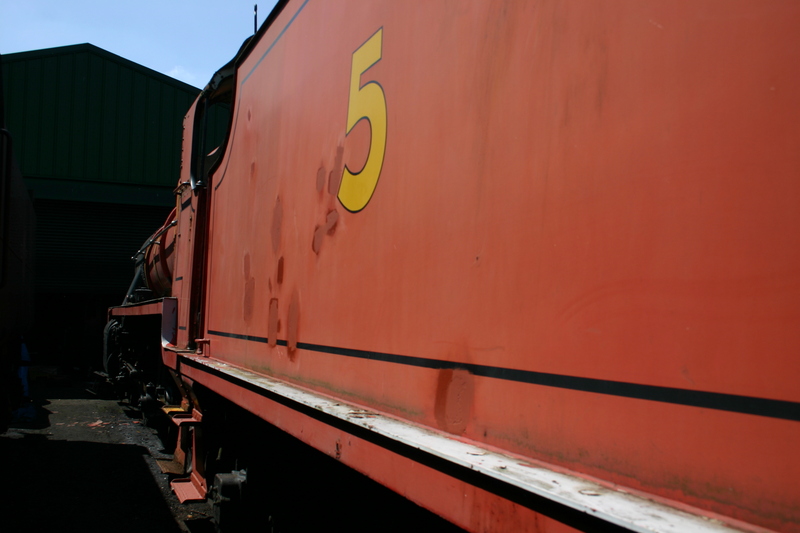 Again, these rich colours were never applied to freight locomotives in service. Sometimes locomotives are not only in inaccurate liveries but also represent railways for which they never ran in the past. Take the picture above. 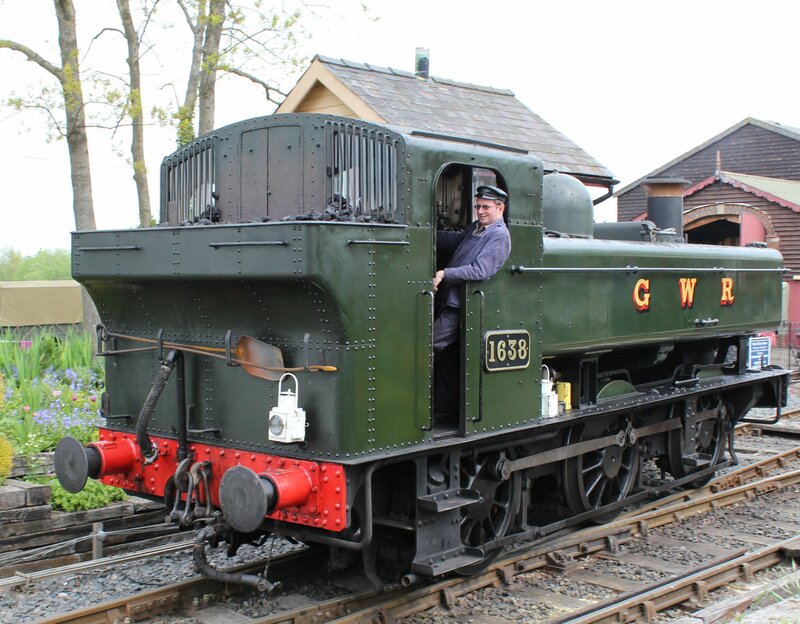 At first glance, what can be inaccurate about a Great Western Railway (GWR) liveried pannier tank? As it happens, quite a lot in this case; as the class were all completed after nationalisation and so were never GWR locomotives per se and certainly never were painted as such. The K&ESR however, wanted to use the locomotive as Thomas the Tank Engine and Friends character Duck. No article on inaccurate liveries could leave out what is probably the most popular inaccurate livery, that of the non-J94 dressed as one. The story of the Hunslet Austerity is largely an industrial one with an incredibly diverse range of operators, colours and liveries. However, a small proportion of the class were purchased by the LNER who designated them as J94 and these were later absorbed into British Railways. 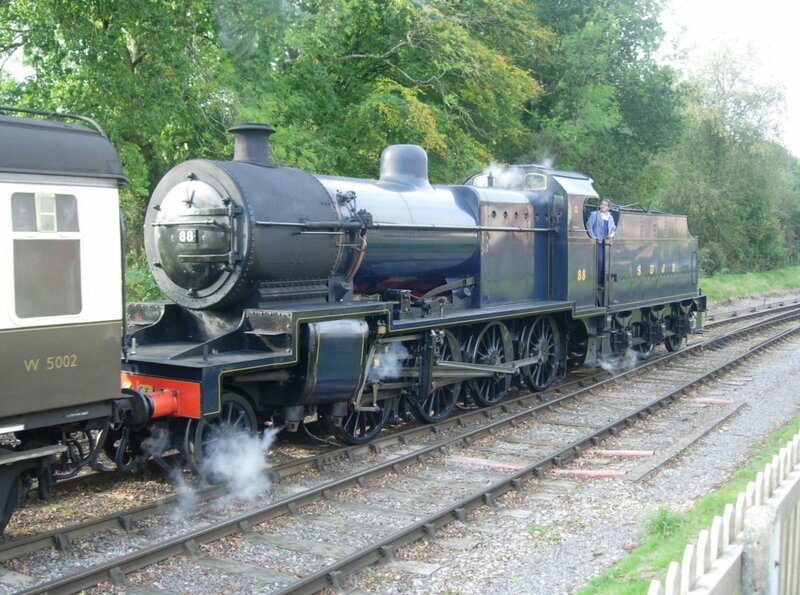 The locomotive in the picture above is not a J94 and never worked for British Railways. This is not the only Hunslet Austerity that has pretended to be a J94. The reasoning here is to try and make the industrial machines fit in a mainline setting. It’s not just steam engines that can be presented in “inaccurate” colours and the example above is perhaps one of the most complex. I’ll be the first to admit that my knowledge of the non-steam world is limited, but I’ll try to explain. After steam was eradicated from the mainline a computerised system borrowed from the USA was introduced, known as Total Operations Processing System (TOPS.) 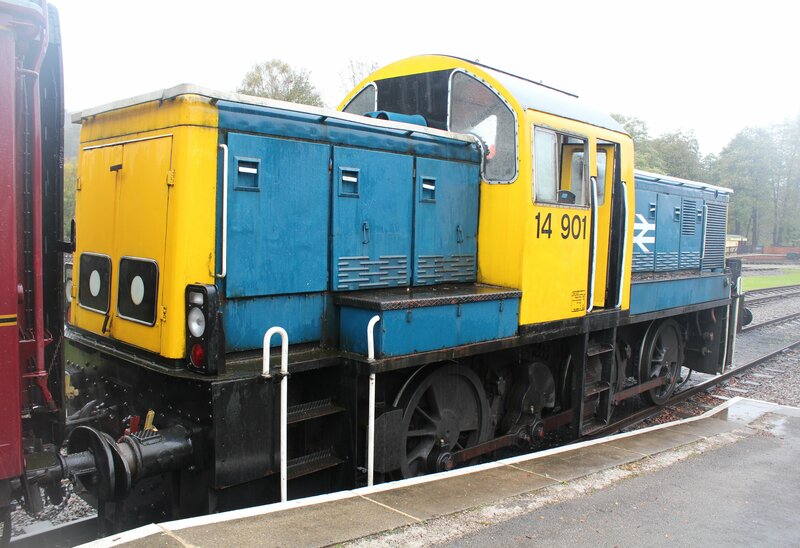 TOPS classified the various diesel locomotives classes and a numbering system was introduced in the 1970’s. Designated as class 14 by the TOP’s system, the class 14 never worked for British Railways whilst numbered as such. 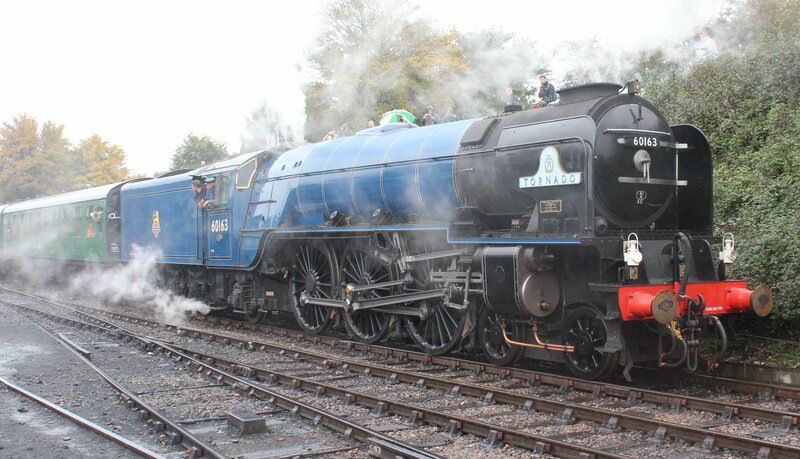 However, with a nod to what might have been; 14901 was painted in BR blue as 14901 in 1991. It has carried this “inaccurate” livery for longer than any other in its career. This class 14 is an interesting example of there being a fairly good argument to say the “inaccurate” livery is actually quite accurate as it has worn it for so long and it also provides an interesting case of what might have been. The final examples are deliberately and overtly fictitious, including those representing Thomas the Tank engine and friends and Harry Potters Hogwarts Express. These examples cut through popular culture and into the world of steam enthusiasts. Simon’s excellent blog post looked at the role Olton Hall is to play in a Harry Potter museum and touched on the important point that this cut helps to entice new people into our hobby. 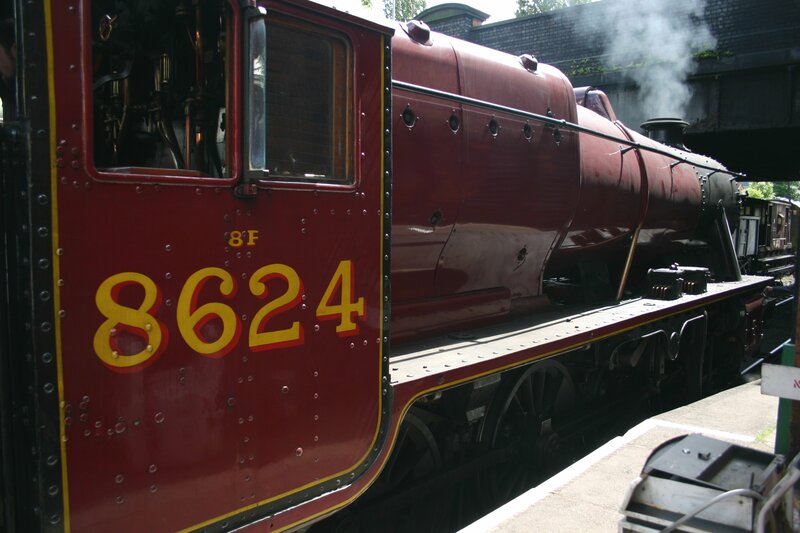 This is where the Hogwarts Express is truly magical and as Simon said, it worked for him! Locomotive liveries are one of the most hotly debated topics of the modern heritage railway scene and one that is unlikely to go away. However looking aside from the arguments that rage in the forums, there is much of interest if you look at things a little differently. 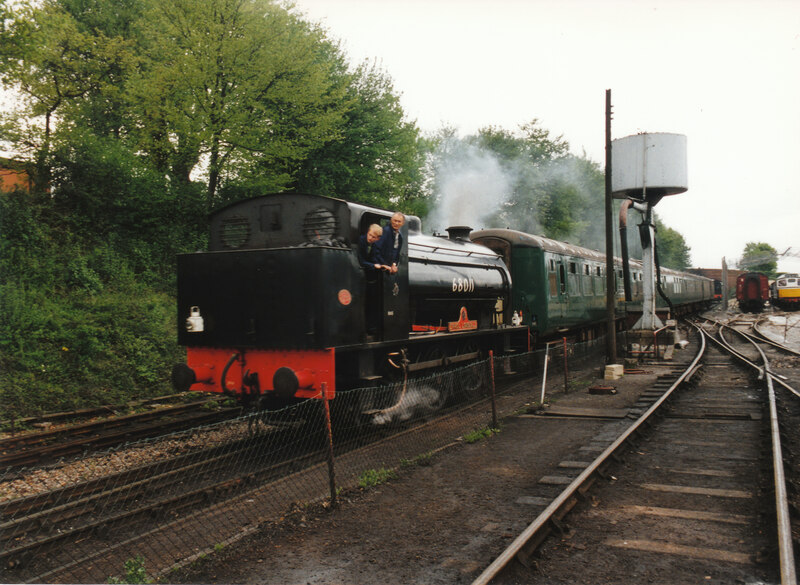 The picture above shows a GWR 5205 class locomotive that would not have had a lined livery in its mainline career, it also carries a name given to it in preservation. 5239 Goliath is a member of the Paignton and Dartmouth Steam Railway’s (P&DSR) fleet. The P&DSR is a unique example in the UK of being a profit making steam railway business with the majority of its staff being paid and employed. The commercially minded railway has perhaps the highest number of instances of inaccurate liveried stock with spurious names of any one heritage line in the UK. You can draw a number of conclusions from that, but one obvious one is the commercial incentive of personalising a locomotive. You may scoff at this, but I can’t help but draw a parallel with the very reason the locomotives wore liveries in the first place – to win over the hearts of customers and find it interesting that even now the same is happening. The other thing that comes to mind when looking at many of the examples of personalised locomotives is that they are often performing a function they were not used for in their mainline career. The S&DJR 7F, Stanier 8F, Hunslet Austerity, class 14 diesel shunter and 5205 heavy freight tank engine were not designed to haul passengers. But that’s their new found job and what they do the vast majority of the time on a modern preserved railway. 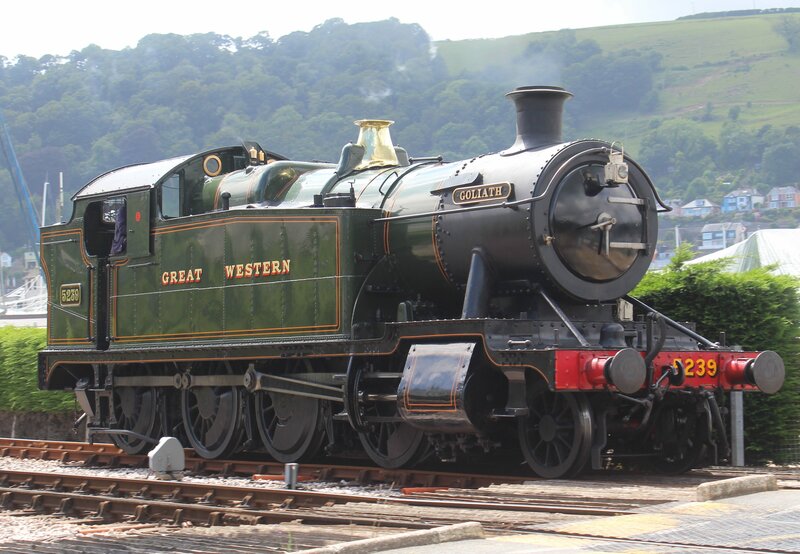 So although the livery is not correct, perhaps there is a argument to say that a passenger hauling LMS locomotive should be painted crimson lake or a tourist laiden train in Devon should be hauled by a fully lined GWR locomotive with a name. These are now customer-facing machines rather than freight hauliers. In context, perhaps their colours are a little more realistic than some of us would care to mention? 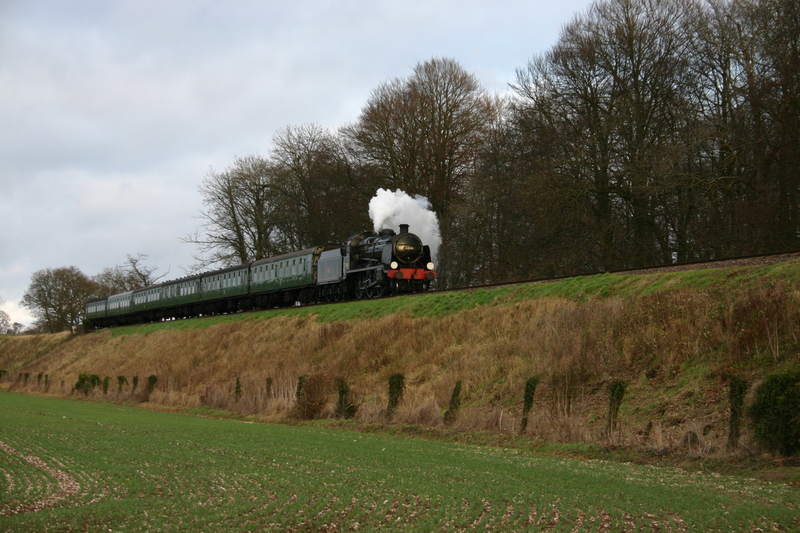 Heritage Railway and its use in media has created modern steam engine stars. One of the things that draws people to steam railways are the personalities of the locomotives. It is no surprise that in some instances that these personalities were created deliberately. Indeed, we are not only at the dawn of an era of new builds of which 60163 Tornado is the first but living in an age of steam locomotive re-imagining. As we move deeper into the 21st century, I can’t help but think that is a positive thing. This is not to say that we be too lax on how heritage is portrayed and forget how the railways once looked. There is certainly room for improvement and even myself as someone with relatively relaxed views would hate to see there be no effort put into creating faithful recreations such as the one below. In the future I’m sure there will be more instances of fictional, inaccurate and controversial liveries on preserved steam engine that spark forums into life. However, I think that if we identify the reasons why the decisions to paint or name the locomotive are made, or even why they should not, we potentially learn a lot. Thanks for the comment and excellent point about the customers. It’s certainly a minefield, I did hesitate before publishing this article! 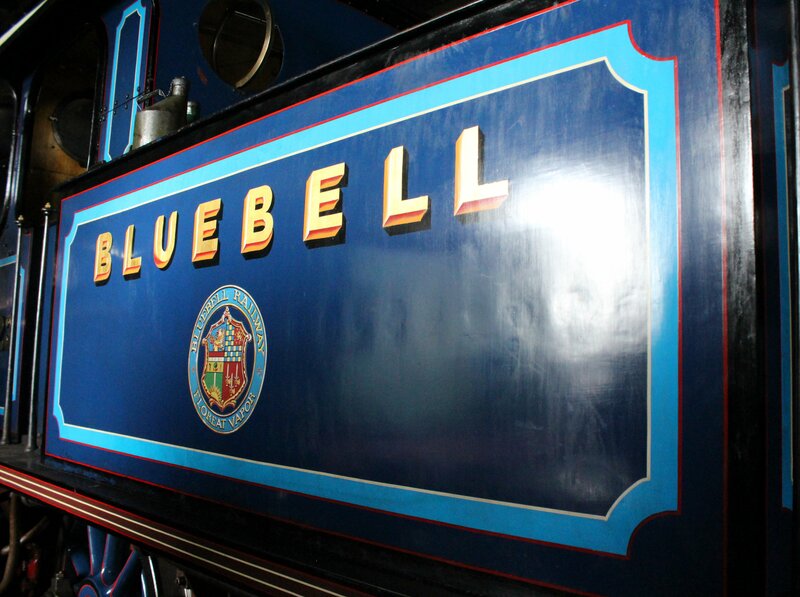 Just discovered your interesting blog and would like to add to it with probably the most beautiful of liveries worn by our Gresley N2 No.1744 since its last major overhaul in 2009 and this year will be performing at the GCR until 17th February. Epping and Ongar Railway will then host the N2 from late April all the way through to early September. When it will then return to its home shed on the Great Central. Please come and say hello.